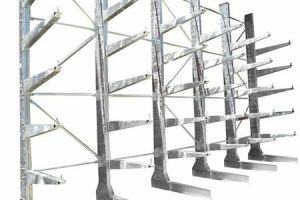 Conduit Racking is normally constructed from selective pallet racking that has been configured to form vertical bays within the rack. 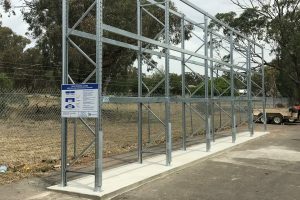 This vertical design is a protective storage system for conduit, piping, wood, automotive products & other long length items. The system also protects stock from damage due to compression as the goods are stored vertically. 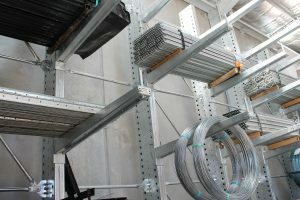 A derivative to the Selective pallet racking, the Double Deep system requires the use of a specialist reach truck or an attachment fitted to the reach truck. 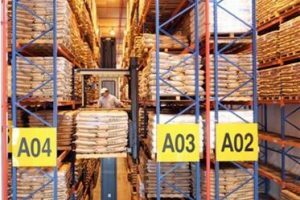 Whilst achieving increases in capacity of up to 30% above the former, only 50% of the pallets are immediately accessible. 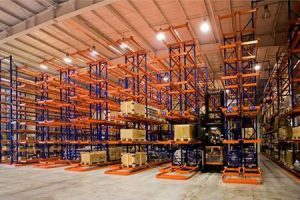 This system however, provides an excellent method of increasing warehouse capacity or when alternative systems are not possible. 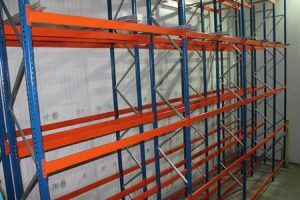 Achieving increases in capacity of up to 30% more than Selective pallet racking. Lower cost alternative against Drive-In Racking, while increasing capacity by up to 30%. Does not require high numbers of homogenous pallet types like Drive-In. 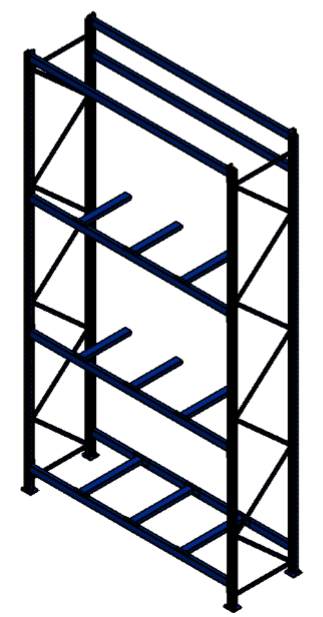 Cantilever racking is specifically designed for the storage of extra-long, bulky or irregular shaped items. It is the perfect storage solution for storing items such as timber lengths, steel lengths, extrusion, pipes, sheet metal, board packs and much, much more. All cantilever uprights can be used as single-sided or double-sided designs. 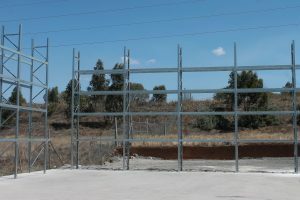 Easily customised to your requirements: rows of uprights can be any length required. 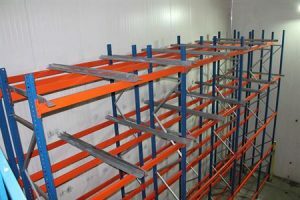 The cantilever arms can be modified flexibly for stored goods with different heights and loading requirements. Subsequent adjustments and adaptations can be made without tools. Available in light duty or heavy duty (up to 1500kg per arm). Fully certified to international standards (ISO9001). Available in a powdercoat (for indoor use) or hot dipped galvanised (for outdoor use) finish. If you need to store special materials or need to meet specific ambient conditions, our expert consultants will be happy to design customised systems for you.